Here at Euro Vape, we are proud of our place in the industry as a supplier of high-quality and affordable e-cigarettes for beginners. Our own National Health Service endorses e-cigarettes as a solution for those who want to quit smoking – and we embrace our role in improving public health by offering the eGo e-cigarette – the best e-cigarette for beginners – as our starter kit for new vapers. If you’re about to buy an e-cigarette for the first time, it’s likely that you’ve seen many e-cigarettes before. It’s even possible that you visited a few other websites before finding this one. With so many e-cigarettes of every type and shape available, we’d like to explain why we feel ours is the best option. Here’s why the eGo e-cigarette is the best e-cigarette for beginners. 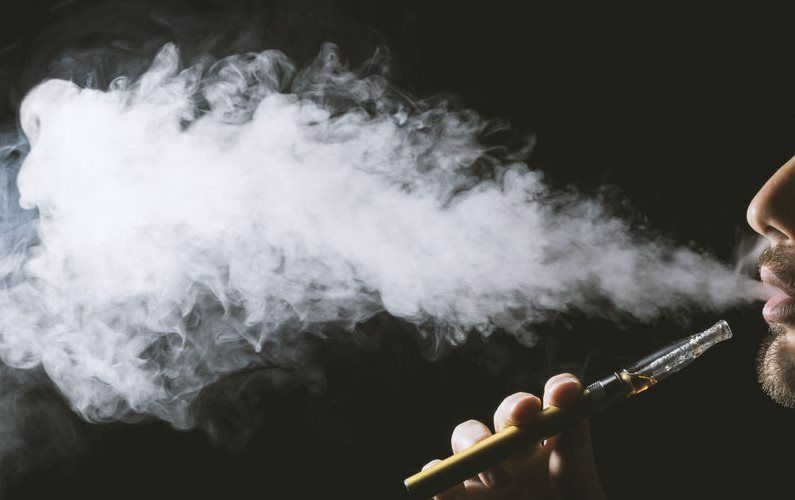 If you’ve ever browsed the selection of e-cigarettes in a local store, you’ve probably noticed that an e-cigarette designed to mimic the appearance of a real cigarette – we call that a “cigalike” – uses small disposable cartridges to hold its e-liquid. A typical cigalike only has a few different flavours available, and different brands are rarely compatible with one another. What does the limited selection of flavours mean? It means that you can’t try a cigalike before you buy it – and if you don’t like any of the flavours available for that e-cigarette, you’ve wasted your money. The eGo e-cigarette is better than a cigalike because it includes a tank called a clearomizer that you can fill with the e-liquid of your choice. With a cigalike, you might have about six flavours from which to choose. With the eGo e-cigarette, you can buy e-liquid by the bottle and choose from hundreds of different flavours. There is no comparison. Buying bottled e-liquid rather than disposable cartridges doesn’t just give you access to greater variety; it also costs less. A typical cartridge for a cigalike costs about £2 and contains less than a millilitre of e-liquid – not even enough for a full day of vaping. Vaping with a cigalike can easily cost £4 per day or more. Compare that to our bottled e-liquid which costs just £4.95, ships free anywhere in the UK and contains 10 ml of e-liquid. Buying an eGo e-cigarette rather than a cigalike will reduce your long-term cost of vaping by at least half. One of the biggest reasons why people switch from smoking to vaping is to save money; you deserve to enjoy the biggest savings possible. One of the great features of the tobacco cigarette is that it is so easy to use. It’s not a complex gadget; you simply light it, and it works. The fact that cigarettes are so easy to use helps to foster addiction because you eventually reach the point at which you start to light up mindlessly without even thinking about it. To break the cycle of addiction, you need something that’s as easy to use as a tobacco cigarette. The eGo e-cigarette is that easy. After filling the tank, all that you need to do is press the button to vape. Our 1.6 ml tank can provide up to hundreds of puffs before you need to refill it – and refilling the tank only takes a few seconds. It really is as easy as quitting smoking – and if you’re going to quit, simplicity is what you need. The companies that manufacture cigalikes would prefer it if you didn’t know the one glaring weakness of their products: They simply aren’t all that satisfying. Miniaturization is one of the features that has driven the development of gadgets over the years. With electronics, we’re often led to believe that smaller is better. With e-cigarettes, though, that’s often not the case because the laws of physics influence what an e-cigarette can do. A small e-cigarette has a small heating coil, and a smaller heating coil produces less vapour than a larger one. Less vapour means that less nicotine can enter your bloodstream, and less nicotine means less satisfaction. Your nicotine needs are highest when you first make the switch from smoking to vaping. By being slightly larger than a cigalike, the eGo e-cigarette can produce substantially more vapour. In doing so, it helps to ensure that you can quit smoking and switch to vaping successfully. One of the greatest shortcomings of cigalikes is that they have poor battery life. A typical cigalike has a battery capacity of less than 200 mAh. Our eGo e-cigarettes, on the other hand, are available with battery capacities of 650 or 900 mAh. That’s enough to vape for hours at a time. You can vape happily all day with just one battery, although you might find a spare battery useful. Meanwhile, owners of cigalikes often must purchase three or more batteries because even two batteries don’t provide enough vaping time. If you have two cigalike batteries, you’ll often find that one battery will die while the other is still charging. You won’t experience that problem with the eGo e-cigarette. The eGo e-cigarette is not a new vaping device. It has, in fact, been around since 2010. It is one of the oldest e-cigarette models still on the market, so you’ll never have trouble finding a replacement battery, charger or other spare part. Why is the eGo e-cigarette still available when so many other classic e-cigarette models aren’t? The eGo e-cigarette is still around because it is incredibly reliable and has the best possible combination of simplicity and performance. There isn’t another e-cigarette on the market that’s so easy to use while demonstrating such great flavour and vapor production characteristics. The eGo e-cigarette is proven technology that has already helped millions of people around the world switch from smoking to vaping. This technology is not going away any time soon.